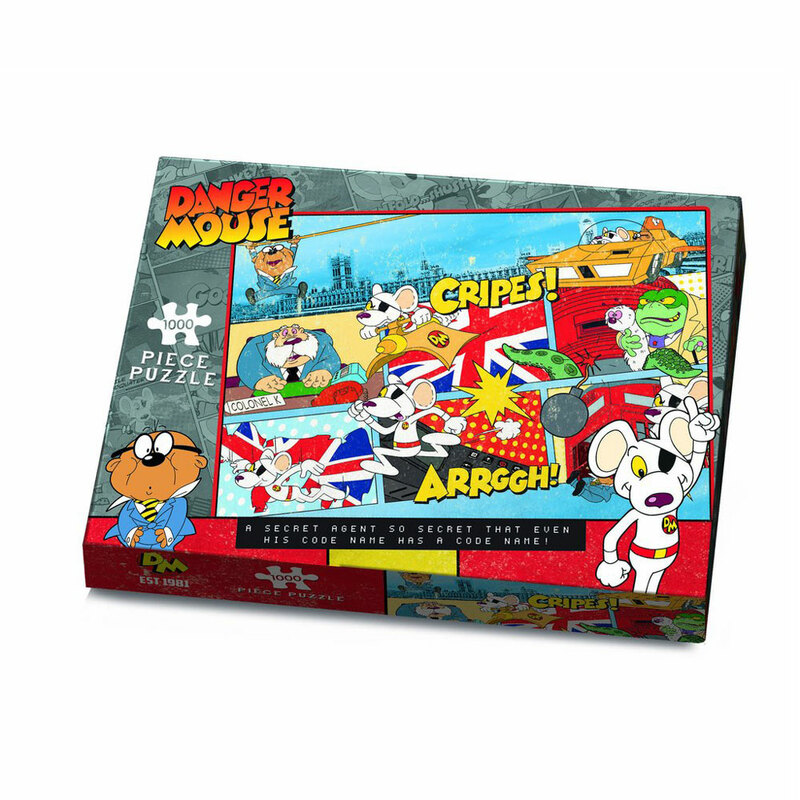 Danger Mouse 'Cripes' 1000 Piece Jigsaw Puzzle from Paul Lamond Games heralds the modern day return of a 20 year old cartoon hero that delighted millions of children during the 1980s. The famous secret agent, Danger Mouse is depicted with his comrades in this great 1000 piece puzzle. Extremely popular cartoon legend comes to life again in 2015 and beyond as a new resurgence of DM's popularity ensues. Jigsaw puzzle features Danger Mouse, Penfold, Colonel K and the archenemy Baron Silas Greenback as a wheezy voiced toad. Light hearted, fun jigsaw puzzle that will gain affection with the young and those adults who bring to the fore again their childhood hero.